The Backnife Holder is injection molded in two parts. These are electrosonic welded to create the proper tension to hold blade in place during carry, but permits in and out movement through thumb pressure. 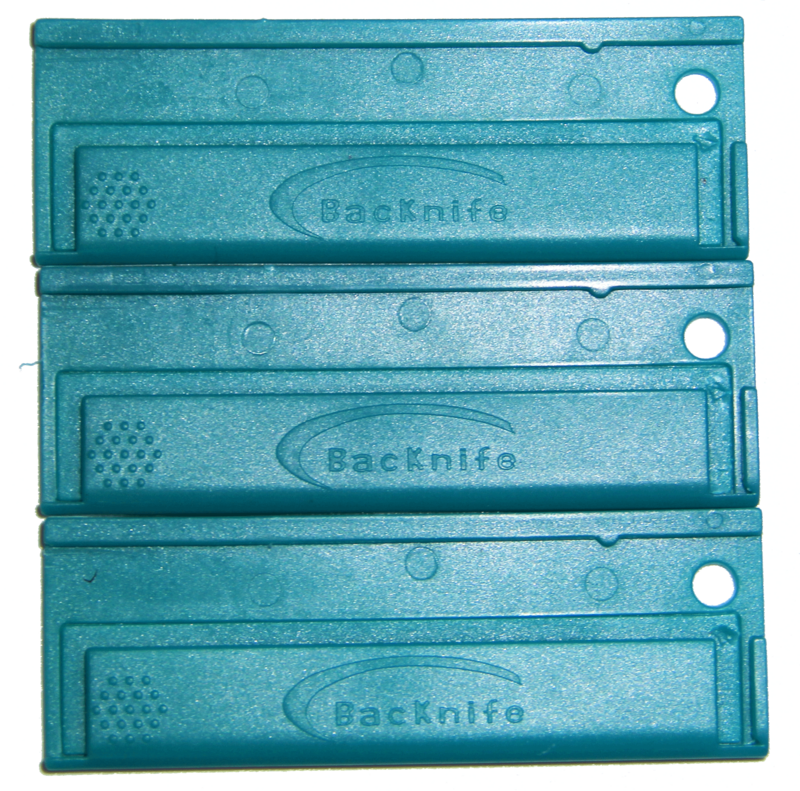 3 Pack of Blue Backnife Utility Blade Holders. Holds all standard Stanley Utility Blades. Fits comfortably in your pocket, keychain or wallet. There when you need it, and forget about it otherwise.